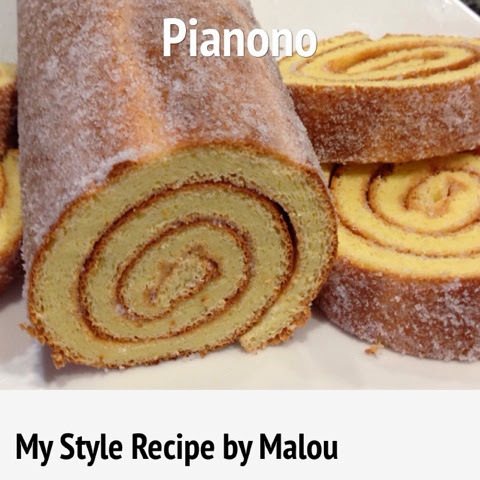 This is a re-post from my other blog, so yes you’re not seeing double or a copycat…Pianono is a Filipino cake roll and you can use any fillings you like (jelly, fruit jam or whipped cream). Some call it Swiss Roll or Jelly Roll. For this recipe, I will stay with the easy filling possible and my favorite too. I grew up loving this for my snack. The ingredients I am sure it is in your kitchen, you just need margarine and sugar, how easy and simple can it be. My son being a picky eater likes it, so I am hopeful you will like it too. 2. Beat the egg whites with the cream of tartar until it is stiff. 3. Slowly add the sugar one tbsp at a time. 4. Beat the egg yolks and add them to the egg whites at a slow speed. 5. When it is completely incorporated, remove the bowl from the mixer and fold in the sifted flour one tbsp at a time. 6. 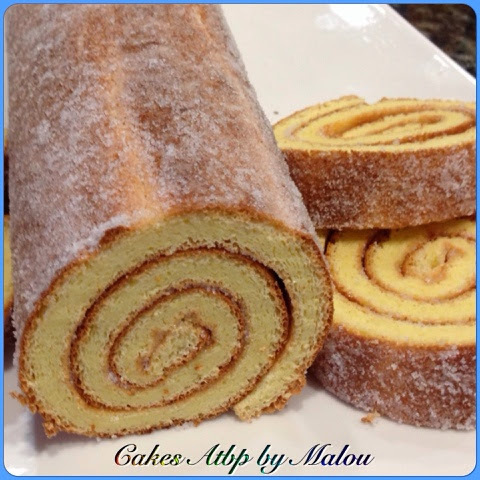 Pour into a jelly roll pan lined with parchment paper. Bake for 12-15 minutes at 400°F. 7. remove from oven and let the cake cool. 8. Remove the parchment paper lining. 9. Spread your favorite filling over the cake and roll. 10. Dust it with granulated sugar and slice crosswise. No need for oil or butter, thanks for visiting! CAN i use butter insted of margarine? Hi Janice! Absolutely you can use butter or any filling that you like. Thanks for visiting. Yes, you can! Even room temperature will do if you just use butter or margarine for the filling! enjoy! Yes, Thess! It only needed 6 tbsp. of flour and you will add it to the beaten eggwhites as you can see on the picture. Fold in the flour one tbsp. at a time. And thank you for visiting! 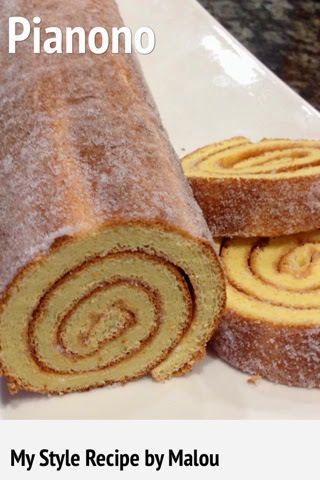 Hi,what is the size of the pan you used for this jelly roll? Hi! I used the jelly roll pan (typically 10½ by 15½ inches) is simply a smaller version of a rimmed baking sheet (about 12 by 18 inches). Hope that helps. Thanks for visiting.